Most credit card issuers let you add an additional person to your credit card account, such as a child or employee, without having this person actually apply for the credit card themselves. This additional user is called an authorized user. The authorized user receives a credit card with his name on it, and he can use the card just the same as if he were the primary account holder. All purchases the authorized user makes go to the same account and appear on one credit card statement. 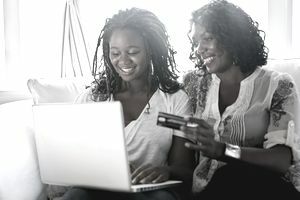 The authorized user shares the credit limit with the primary account holder and his purchases reduce the amount of credit available to both users. To add an authorized user, contact your credit card issuer by phone or by logging on to your online account. The card issuer will need the authorized user's personal information, including their name, address, date of birth, and social security number, to process the request. The company may impose a limit on the number of authorized users you can add to your account. And it's probably for the best, as the more people with spending access to your credit card, the harder it is to keep track of the charges. The authorized user receives all the credit card privileges of the primary account holder, but have no legal responsibility for purchases made on the account. If there's ever a lawsuit regarding debts on this account, the authorized user won't be included, even if that person was responsible for the purchases. For safety, authorized users can't perform account maintenance activities like adding other authorized users, changing the address on the account, requesting a credit limit increase, or negotiating a lower interest rate. Authorized users can make payment on the account, even though they're not required to. The credit card account history could show up on the authorized user’s credit report, but only if that credit card issuer reports authorized user accounts to the credit bureaus. That's great if the account has a positive payment history, and bad if the credit card payment has a history of late payments. No other aspects of either person's credit history will appear on either the authorized user or the primary account holder's credit reports. If an authorized user account is not showing on your credit report, there's a good chance that credit card issuer, as a policy, doesn't report authorized user accounts to the credit bureaus. A quick call to the card issuer's customer service can let you know whether you can expect the authorized user account to show up in your credit history and with which bureaus. After the subprime mortgage crisis of 2007, FICO score calculations were updated to give less weight to authorized user accounts overall, and also to exclude authorized user accounts added for the sole benefit of a credit score boost. For example, if a person pays a credit repair service a fee for authorized user accounts, FICO scores will likely not consider that account for calculating a credit score. Dissolving the authorized user relationship is almost as easy as starting it. Simply call the credit card issuer or log on to the primary account holder's online account and request to remove the authorized user. The user's credit card will be deactivated and they will no longer be able to make purchases.